[/av_heading] [av_textblock size=” font_color=” color=” admin_preview_bg=”] Michael and Rochelle Nichols and their six children have a mixed farming enterprise at Sisters Creek in Northwest Tasmania. The family crops Wheat, Pyrethrum, Poppies, Potatoes, Onions, Canola, Mustard, Peas, Buckwheat and run 80 Friesian steers. 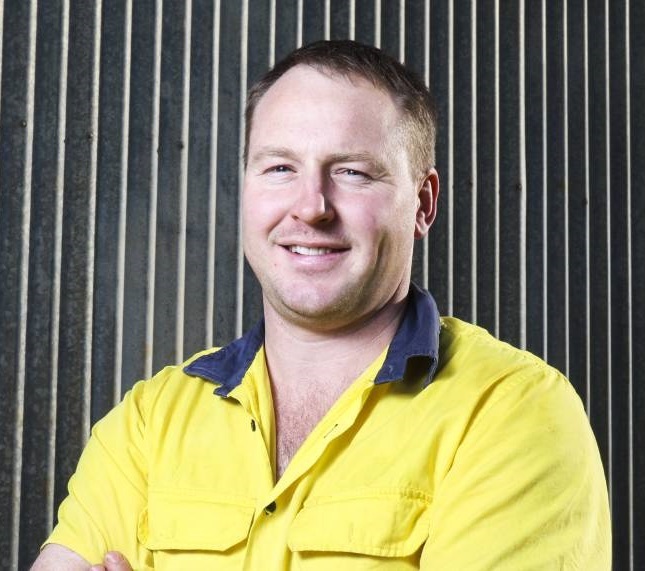 Michael has a contracting business which provides muck spreading, spraying and combine harvesting through which he buys local wheat and barley to on sell to local dairy farmers. The canola is cold pressed and sold in cubes or bottled for retail sales. Michael is a very passionate farmer and is use NDVI images to improve and even up crop yields with variable rate spreader applications and is verifying the results using yield data.